In 1928 after designing around the cypress trees at Cypress Point and amongst the magnolias of Augusta National, Dr. Alister MacKenzie made a stop along the Russian River and it's majestic Redwood trees. Cypress, you can experience Dr. MacKenzie's famed naturally contoured fairways and undulating greens in a magnificent sylvan setting. A genuine challenge, casual elegance, pristine beauty, affordable green fees, and a signature ninth hole, all make for a most memorable golf experience at Northwood Golf Club. 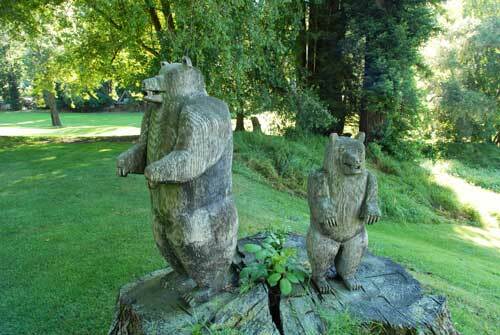 You are invited to take the tour, and enjoy an ethereal round at Northwood. 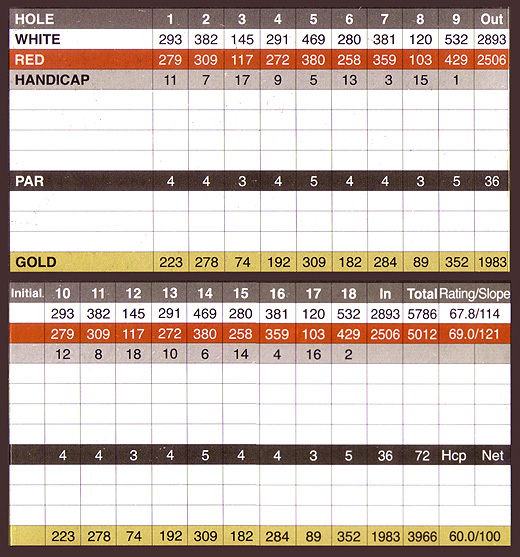 Northwood Golf Course was the product of the imagination of three men. 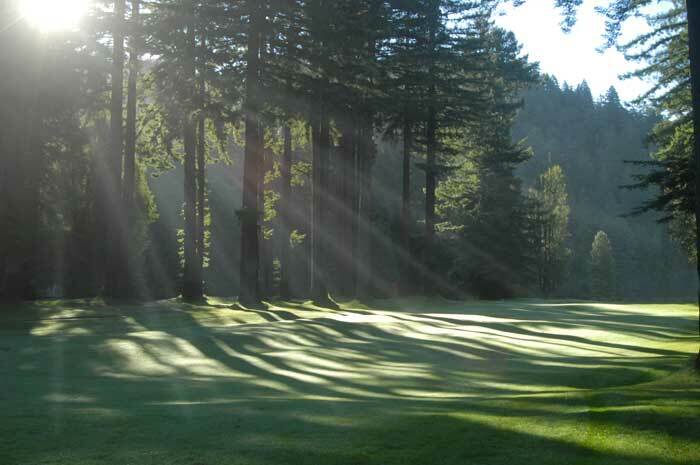 The first to conceive the idea a golf course could be built on seventy wooded acres of land, across the Russian River from the world famous Bohemian Club Grove, was a Bohemian Club member, Jack Neville. Neville was eminently qualified as a golfer and architect. He was California Amateur golf champion in 1912-13-19-22-29 and a member of the Walker Cup team in 1923. He and Douglas Grant had designed The Pebble Beach Golf Links on the Monterey Peninsula in 1919. In 1925 Neville presented his concept of a golf course to Claude Milleresch, owner of this wooded land. Milleresch, who was married to a Korbel daughter, agreed to the use of his land for the development of a golf course. Neville then interested Dr. Alister MacKenzie in the challenge to design a nine hole golf course on this seventy acres. MacKenzie had come from his native Scotland in 1918, after designing courses in the British Isles, to consult with H. S. Holt and C. H. Alison on the revision of the Chevy Chase Golf Course near Washington D. C. He then went on to design several courses in New York, Michigan and Ohio. At the urging of Robert Hunter, MacKenzie moved to California. Hunter, who was a professor of Sociology at the University of California at Berkeley, was an avid enthusiast of golf and golf course architecture. In 1925, he had written one of the classic books on golf course architecture with dramatic drawings of genuine golf links, entitled "The Links". MacKenzie and Hunter collaborated in the design of many California courses including Meadow Club in Marin County in 1927, the remodeling of Pebble Beach Golf Links in 1927-28, The Valley Club of Montecito in Santa Barbara and Northwood Golf Club in 1928 and Green Hills Golf Club in Millbrae in 1930. Their most famous, which firmly established their reputation, was the design of the Cypress Point Club at Pebble Beach in 1928. 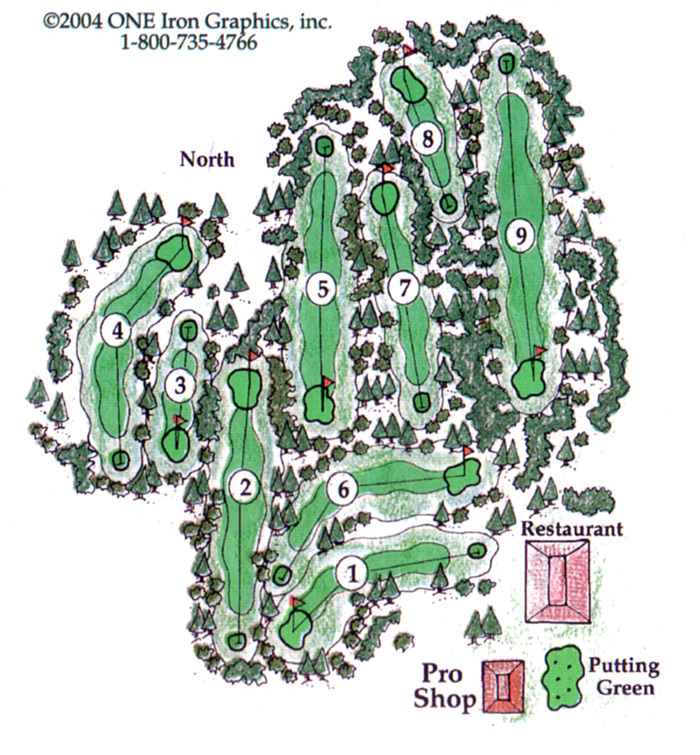 In 1933, MacKenzie was asked by Bobby Jones to assist in the design of the Augusta National Golf Course in Georgia. From there he went on to design courses in Australia, South America and New Zealand. MacKenzie and Hunter employed the American Golf Construction Company, William Selkirk in charge, to do the construction on the Meadow Club, Cypress Point and Northwood Golf Club. Following construction in 1928, Northwood had a succession of owners. After Milleresch there were Les Korbel, Ormsby, Stibbe and Northwood Development Corporation, J. Benton Bostick Jr. president and John Bancroft treasurer and resident manager in 1959. It was this corporation who subdivided the property and began selling lots in 1960. Had the plans of Bostick and Bancroft reached fruition, even the perimeter of the playing area of the golf course would have been sold as building lots. It is probable they were not aware of the illustrious past of Northwood and their plans would have led to the loss of what we now enjoy. Conditions placed on Northwood Development Corporation by the mortgage lender made it impossible to financially survive. The lender demanded, that as lots were sold, the proceeds be kept by them and applied to the loan. Being cash poor as a result, the property was traded to Ray Beach for some South San Francisco apartment property in 1966. Beach suffered the same fate as Northwood Development Corporation and escaped by selling to a naive buyer, Jack Yates. Jack had neither the capital or the know-how to survive and, in 1970, the lending company foreclosed on him. On foreclosure, a group of property owners and interested parties bought the property and incorporated on June 19, 1970. After a rocky start this group, headed by Dr. Charles Schaap, began to solve the problems of a run down golf course blanketed by hundreds of gopher mounds and a profuse crop of daisies. It is now financially solvent and a beautifully maintained, challenging nine hole golf course. There are three beautiful buildings of coordinated design, by architect Edward A. Bonelli, housing a pro shop, a restaurant, a social service office, a post office and a barber shop. We invite you to come and enjoy what we have created.